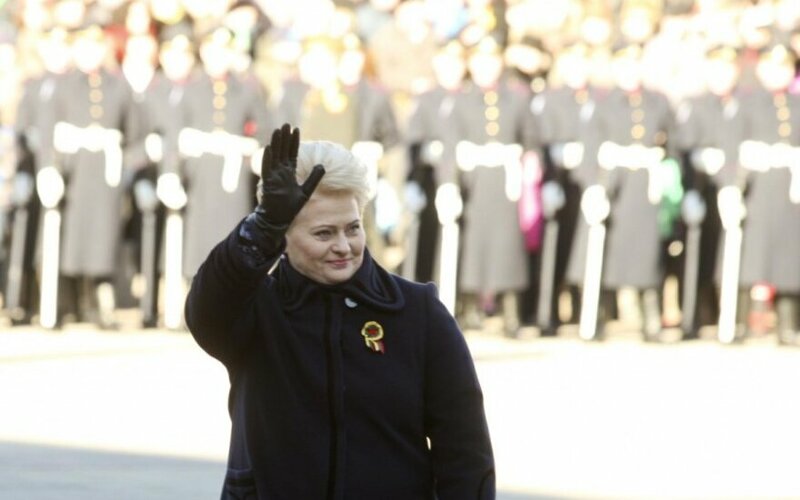 Lithuania's President Dalia Grybauskaitė congratulated the people of the country on the Day of Restoration of the State, urging them to be ready to defend their country. "February 16 is a special day. It speaks of the state that was rebuilt from ruins. It also speaks of the rock-solid foundation that has never been demolished – the Lithuanian spirit. This day speaks of the exceptional courage that Lithuania needed when the nation rose to free itself from the clutches of imperial Russia almost a hundred years ago. Today, once again, we need that heroic spirit and that courage to safeguard everything that we have achieved," the president said at a solemn flag raising ceremony outside the President's Office on Monday noon. "Today Lithuania stands as an equal partner among the nations. Our voice is not only heard. It is listened to because of our unique historical experience. We know what it is like to lose your land. To lose your home and those you love. They tried to silence us and take away our native language. They tried to divide our people and society. But our nation was able to rise up. To stand together in freedom fights. To draw strength from our great history and culture. We are independent again, and we are not alone. We are valued, respected and protected," said Grybauskaitė. "Let us love, cherish and always stand ready to protect Lithuania," the president said in her address to the crowd. Among participants of the solemn ceremony were Parliamentary Speaker Loreta Graužinienė, Prime Minister Algirdas Butkevičius, ex-president Valdas Adamkus, first de facto post-independence leader Vytautas Landsbergis and other officials. On Monday, Lithuania celebrates the Day of Restoration of State. On Feb. 16, 1918, the Council of Lithuania proclaimed the restoration of the independent state of Lithuania, founded on democratic principles, with Vilnius as its capital.